Mixed Media Collage. 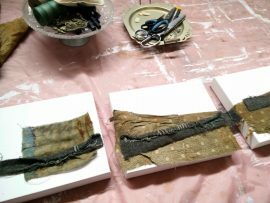 3 New Works on Paper. 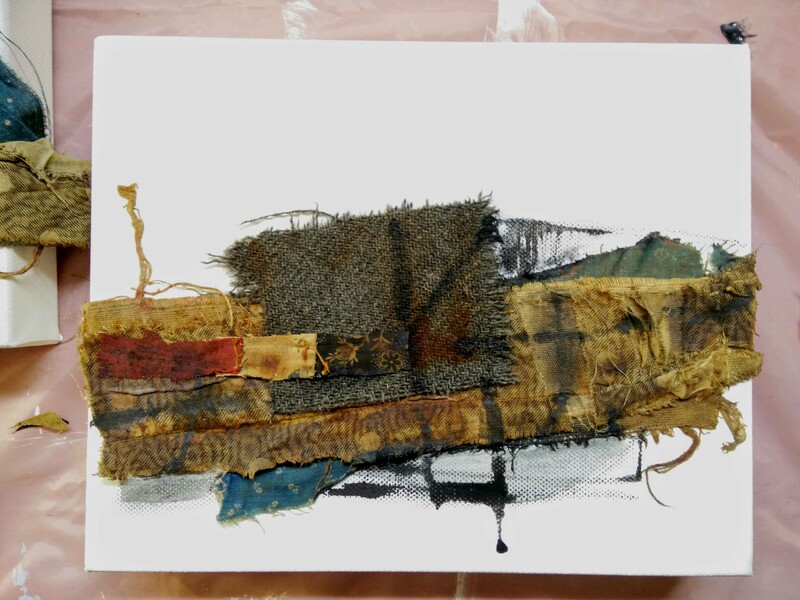 3 New mixed- media collages on 300gsm watercolour paper (Unframed). I like to create new visions, by recycling and dissecting vintage papers that I may, or not hand paint with acrylic paints and inks. 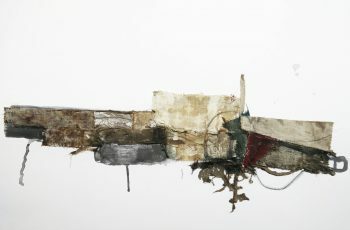 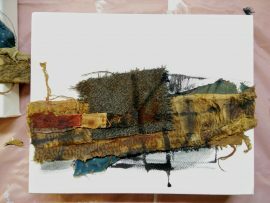 Process – On a background of strong 350gsm artist water- colour paper, I add layers of acrylic paints, fragments of vintage papers and random marks, using French ink pens. 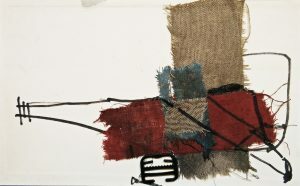 TurkRedghost Series. Textile Art. 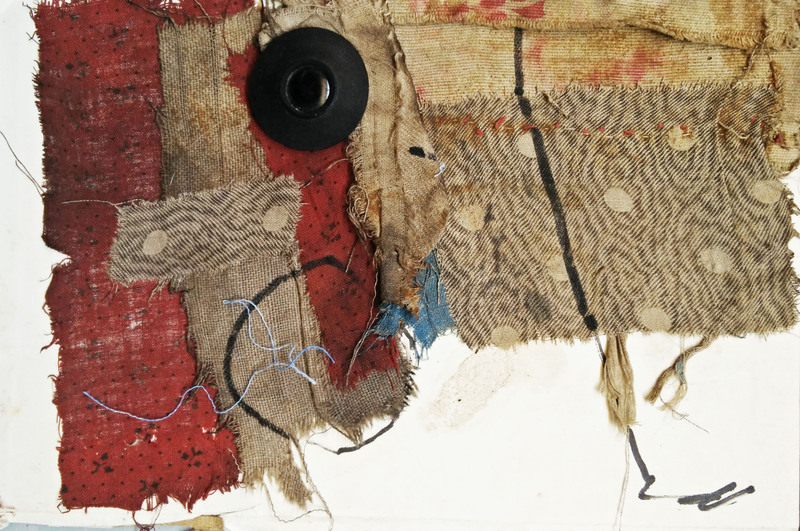 Antique & Vintage Textiles. I grew up in a “make do and mend” family, where nothing much was thrown away and would be mended or, re-purposed into something else, therefore, many of my textile pieces are hand- made, created from antique & vintage sourced materials and may include, discarded, abandoned, found objects. 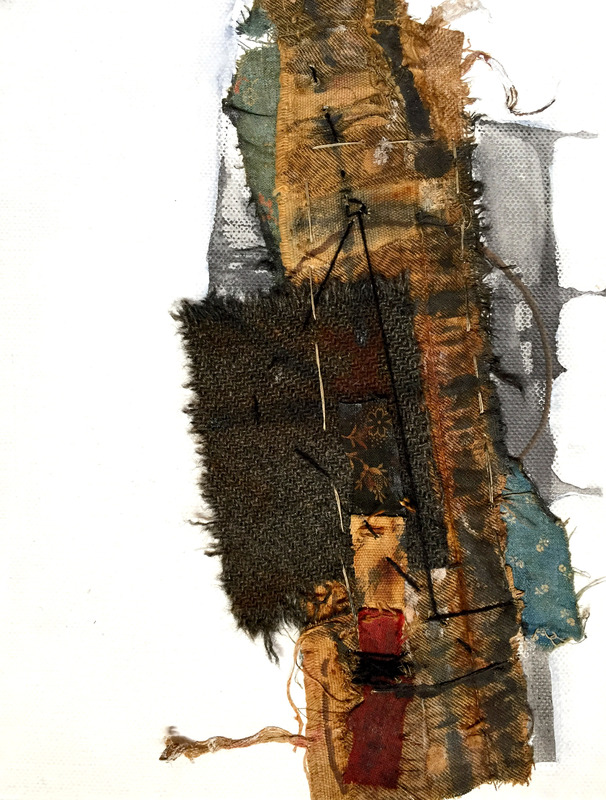 I have been working with textiles all my life. 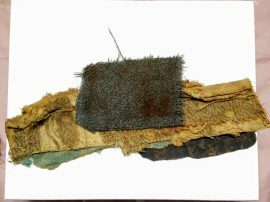 My mother was a dressmaker and as a child, I would collect the fabric scraps and make wall hangings and soft sculpture. 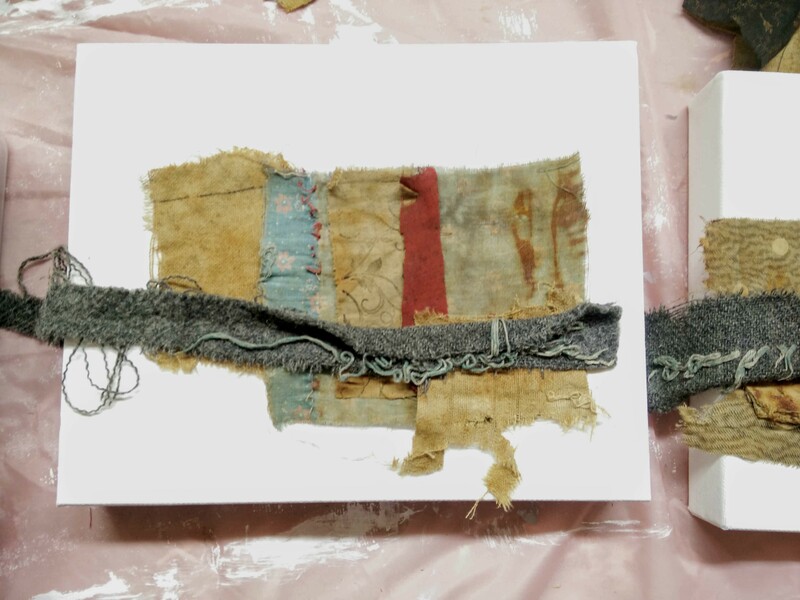 Sometimes the antique textiles I work with, seem to yell at me, but mostly, they lay silent, as I make my own marks alongside, others gone before. 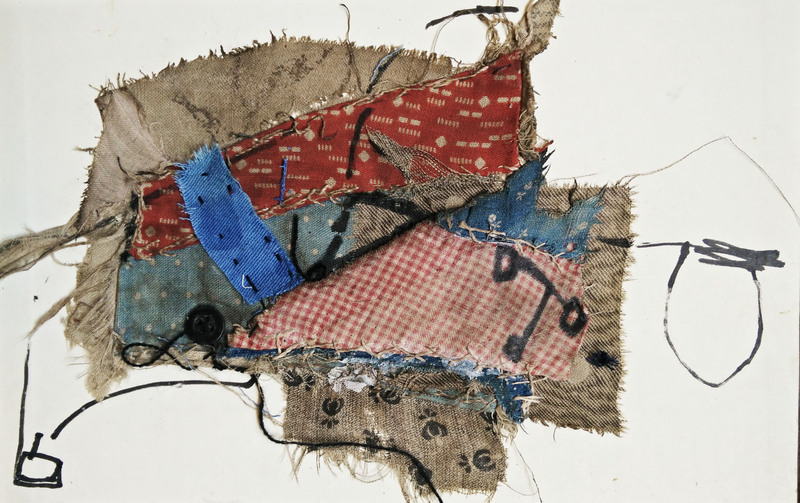 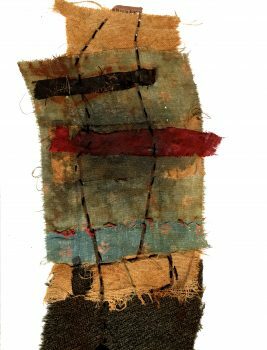 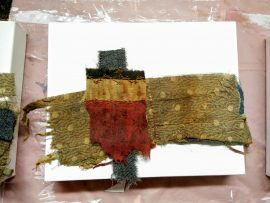 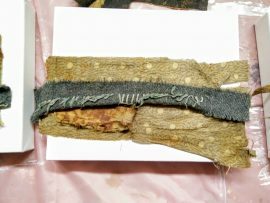 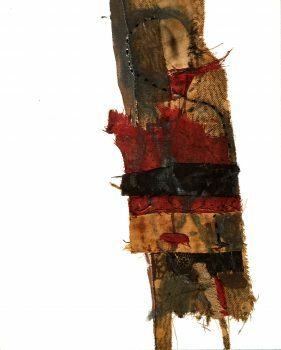 Ragged bits, old and new stitching, tracing marks left behind on old textiles are a reminder, of a time when women, had many obligations and few choices. 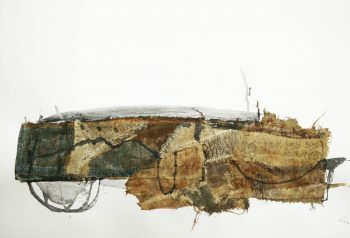 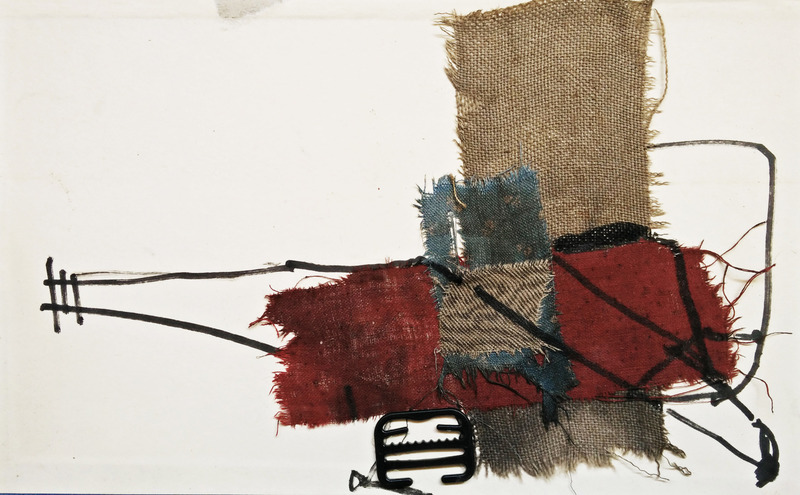 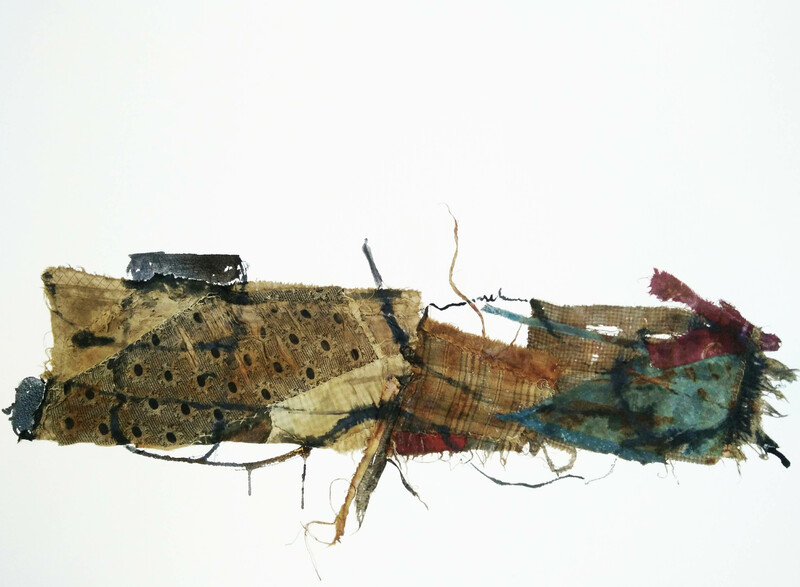 I feel comfortable, as I stitch, tear, dye and reinforce the fragmented pieces. 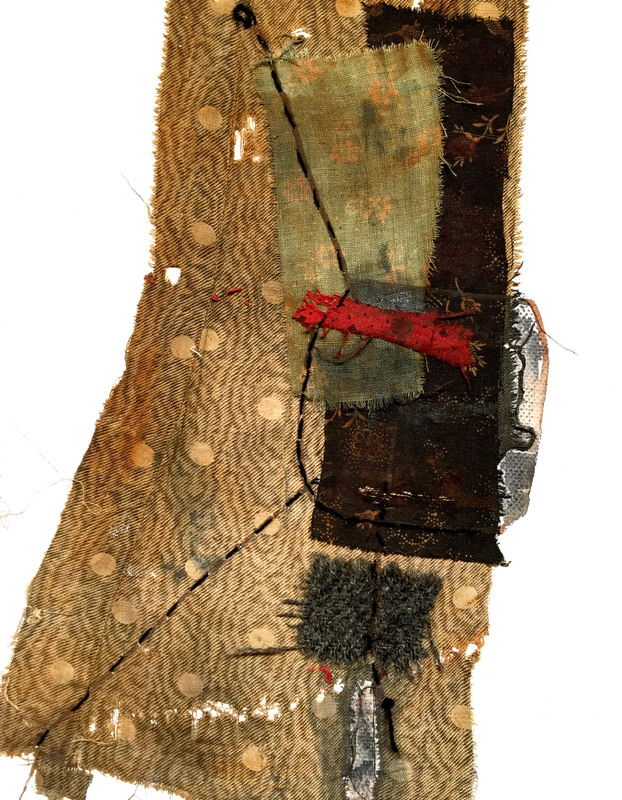 Somehow, I hope, in a small way, by reclaiming and reworking the textiles, I can give a voice to those women.